Pigskin leather palm glove with fabric back and Thinsulate lining with a safety cuff. 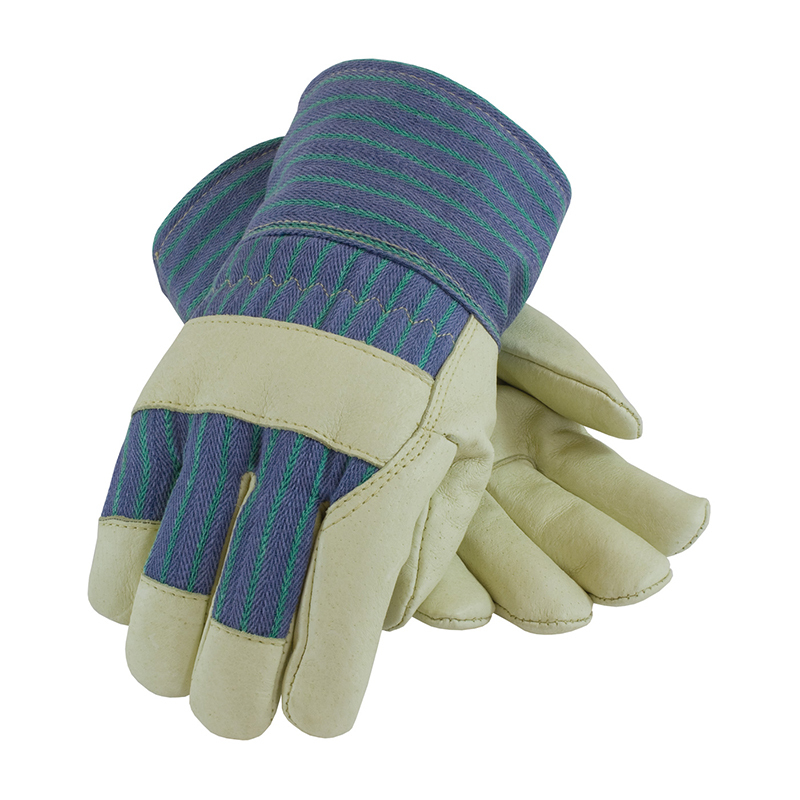 Features: pigskin leather which provides breathablility due to its porous texture, becomes softer with use and withstands moisture without stiffening, thinsulate lining provides insualtion without the bulk of fleece, straight thumb increases comfort in closed fist work, safety cuff helps protect wrist and allows for fast removal. 6dz/cs.